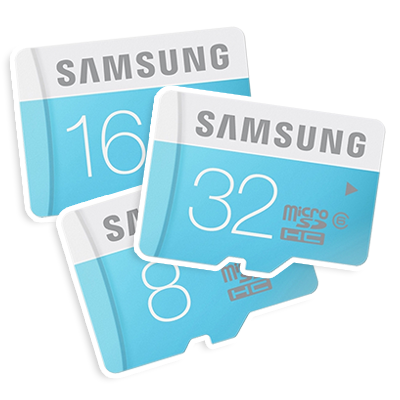 A Samsung micro SD card enables you to expand the memory of your phone, tablet, portable WiFi hotspot or any other compatible device. *Please check your device compatibility before purchasing the cards. This high speed memory card is ideal for smartphone users who want to add storage to their phone or tablet. It saves your precious time when downloading and transferring any files. For example the 8 GB capacity holds up to 4,650 photos (8-megapixel), 130 minutes of HD video or 1,870 songs. That means you can store more entertainment in your smartphones or tablets. Product Dimensions (W x H x D) 0.5" x 0.43" x 0.04"